Come the end of March and beginning of April, teams in the NHL are focused on one thing: Making a playoff push. 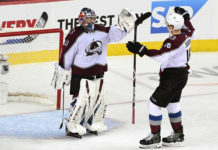 However, the Colorado Avalanche, even after last night’s win against the Montreal Canadiens, need to be in that mindset a little early, like Feb. 20 early, if they want to get out of doing any spring cleaning. The Avs currently sit in seventh place in the Western Conference – a spot that will currently guarantee them a trip to the playoffs because of a Wild Card. But with the Nashville Predators and Minnesota Wild right on their heels, the Avs undoubtedly have their hands full. And in case the pressure didn’t seem to be on in full force, out of the Avs’ 22 remaining games, 18 are against conference opponents, including 9 against divisional teams. Five of their next 10 games are against current playoff teams. The Avs are in undoubtedly the toughest division in hockey, the Central Division, where the top three teams each have 75 or more points. Not only are the defending Stanley Cup champion Blackhawks holding the divisional lead, the high-scoring Dallas Stars and St. Louis Blues have a commanding hold on the second and third place positions. 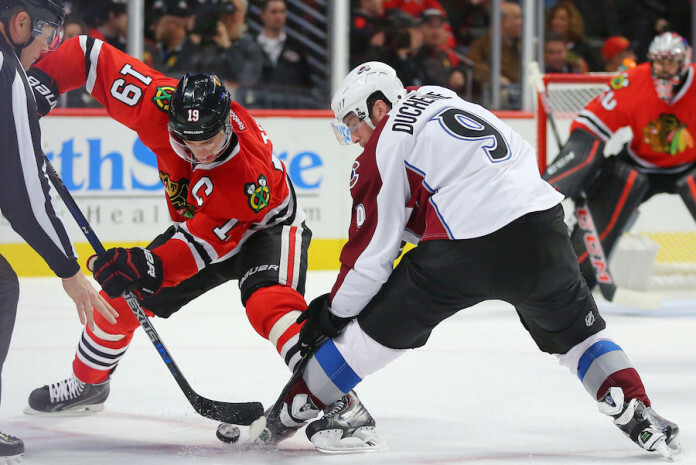 Watching the Avs barely pull out a victory against a disappointing and crumbling Canadiens team, might leave you inclined to think that joining the ranks of the Blackhawks and Stars might seem impossible. But the Blues face a tough end-of-the-season stretch, leaving possible room for movement within the Western Conference. 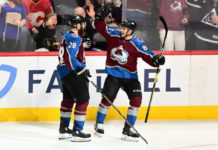 Before they can do that, however, the Avs have to pick up the pace and get back their offense before Wild Card pursuers Nashville and Minnesota catch up. The Predators, currently holding down the eighth spot in the west, are only two points behind Colorado and have three games in-hand, which when it comes down to the wire, absolutely has the ability to make or break the playoffs. The Predators’ extra remaining games could play to their advantage as a few are against non-playoff-contending teams. In Minnesota, things are starting to look up after a tough eight-game skid at the beginning of the month. Having now won two in a row, the players finally seem to be responding after coach Mike Yeo got fired and John Torchetti took over. Despite currently looking in from outside the playoffs, the Wild are only two points out from a Wild Card position – something that would seem almost magical after the season they’ve had. 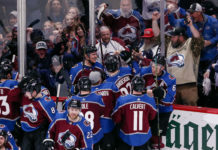 If the Avs hope to avoid spring cleaning, the playoff mentality needs to start Saturday night against Edmonton Oilers, the worst team in the Western Conference. If they wait much longer, threatening teams like Nashville and Minnesota might jump them in the standings.